Thoughts That Go Bump in the Night: Facebook Picture Answers Age Old Question! Facebook Picture Answers Age Old Question! 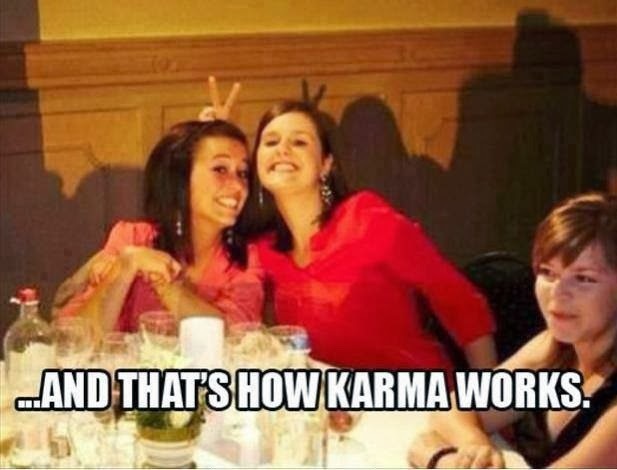 Well, I suppose if you think about all of the elements in this photo considering how decisions (thinking, attention) effect our experience...then yes, this is a pretty good visual for Karma. And funny to boot! The Golden Rule is perhaps the finest use of karma.